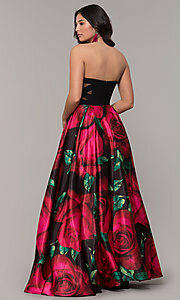 This long strapless floral-print prom dress makes strutting into formals in style easy. 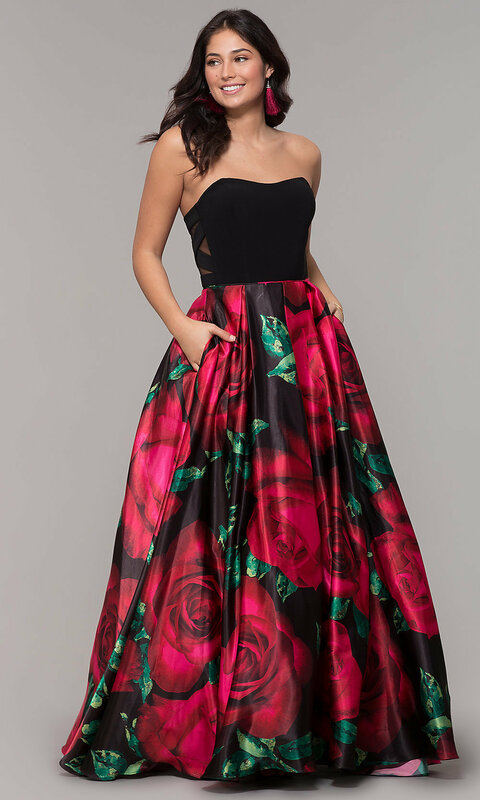 The gorgeous evening dress features a solid black bodice with edgy illusion side cut outs, as well as a gorgeous skirt with a popping red floral print. The strapless bodice highlights the upper body in a flirty fashion and complements the criss-crossing bands on the mesh sides. With voluminous tulle linings, the floral-print skirt flows over the legs with a soft shine from the printed fabric. 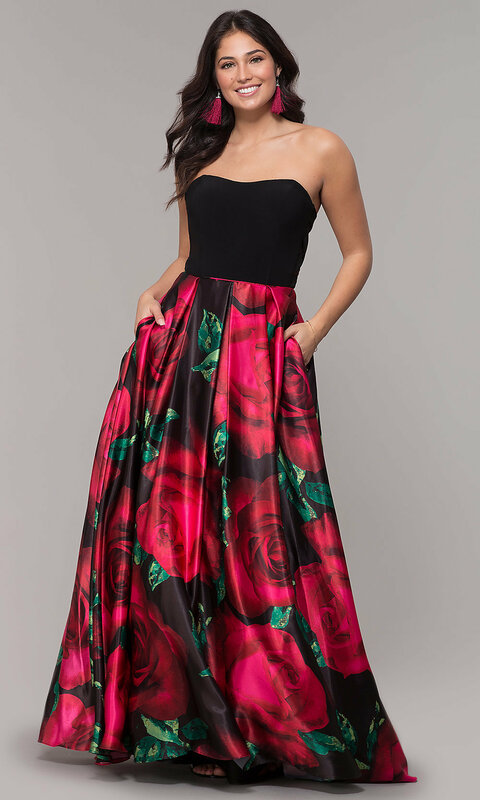 As if this long strapless floral-print prom dress couldn't get any better, the floor-length skirt has pockets at the sides for storing little essentials while you dance the night away.